Abington Health is proud to sponsor An African-American Women’s Empowerment Summit, a groundbreaking, new program, designed to improve understanding and knowledge of clinical trials to enable African-American women to demand information and make an informed decision about participation in a clinical trial. “African-American women are more likely to die from breast cancer than any other race or ethnicity,” says Susan Nolte, Ph.D., director, Center for Clinical Research at Abington Memorial Hospital. “African-American women are more likely to die from breast cancer than any other race or ethnicity,” says Susan Nolte, Ph.D., director, Center for Clinical Research at Abington Memorial Hospital. “A contributing factor to this upsetting statistic is the lack of knowledge about available treatment alternatives, including clinical trials and aggressive drug therapies.” Clinical trials can include studies of new types of chemotherapy, other types of treatment or new ways to combine treatments, with the goal being to find better ways to treat cancer and to help cancer patients. “African-Americans are greatly underrepresented in clinical trial participation for a multitude of reasons, specifically a lack of trust in the healthcare system and lack of awareness,” continued Nolte. 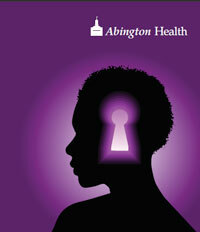 Abington Health is proud to sponsor An African-American Women’s Empowerment Summit, a groundbreaking, new program, designed to improve understanding and knowledge of clinical trials to enable African-American women to demand information and make an informed decision about participation in a clinical trial. This one-day educational symposium is specifically designed to educate African-American women on the value of participating in clinical trials, while also addressing their fears and concerns about participation. An African-American Women’s Empowerment Summit will be held on Saturday, April 14, 2012 from 9 a.m. to 1 p.m. at Abington Memorial Hospital in the Lenfest Building Frobese Conference Center (1200 Old York Road, Abington, PA 19001). All women over 18 years of age are invited to participate in this free program. Registration is limited to 150 participants. Please register before March 21 in order to reserve your place. Continental breakfast and lunch will be served. Wendy R. Brewster, M.D., Ph.D., is a board certified gynecologist and holds a doctor of philosophy in epidemiology. She is director of the Center for Women’s Health Research, as well as associate professor, Department of Obstetrics – Gynecology/Division of Gynecologic Oncology at the University of North Carolina – Chapel Hill, Lineberger Comprehensive Cancer Center. Deborah Watkins Bruner R.N., Ph.D., holds a doctorate degree in nursing research with a focus on outcomes research. She is a Fellow of the American Academy of Nursing and a Robert W. Woodruff professor of Nursing at the Nell Hodgson Woodruff School of Nursing, as well as a professor of Radiation Oncology and associate director for Outcomes Research at the Winship Cancer Institute, Emory University. G. Chris Christensen, III, D.O., chair of Abington Memorial Hospital’s Institutional Review Board and attending physician in Pulmonary and Critical Care. Kerri Conner Matchett, author and breast cancer survivor. She is the author of My Mommy Has Breast Cancer, But She Is Ok.
Aisha N. Parker, is senior coordinator of Abington Memorial Hospital’s Institutional Review Board. Mary Jackson Scroggins, holds a master of science and is co-founder/president of In My Sister’s Care. She is also chair of the Patient Advocate Committee of the Gynecologic Oncology Group. An African-American Women’s Empowerment Summit is sponsored by Abington Health through an Innovators’ Circle Grant, thanks to program facilitators including: Susan Nolte, Ph.D., director, Center for Clinical Research; Sabrina G. Harris, J.D., director, Diversity; Mary Grasty, breast cancer advocate; Lorraine Bree, administrative assistant, Center for Clinical Research; and the Rev. Dr. Marjorie Duncan Reed, program consultant. For information or to register, please call 215-481-5807, email lbree(at)amh(dot)org or visit http://www.amh.org/empowerment.